I love art and I love Photoshop. The two are almost intertwined these days. Some traditionalists will say that art has died with the invention of “digital” art but I embrace technology and its influence on art. I have to admit, however, that in my heart I know that digital art will never impress me as much as some of most bizarre traditional art. M.C. 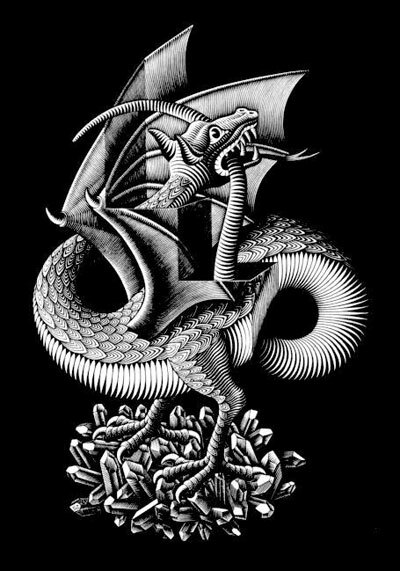 Escher is one of those who will forever amaze me. To think that his work was done prior to the computer age is often difficult to wrap my head around. Maurits Cornelis Escher was born on June 17, 1898 and is recognized mostly for impossible architectural artwork that often reflect infinite loops. In recent years, his work has been featured on t-shirts, posters, and calendars. 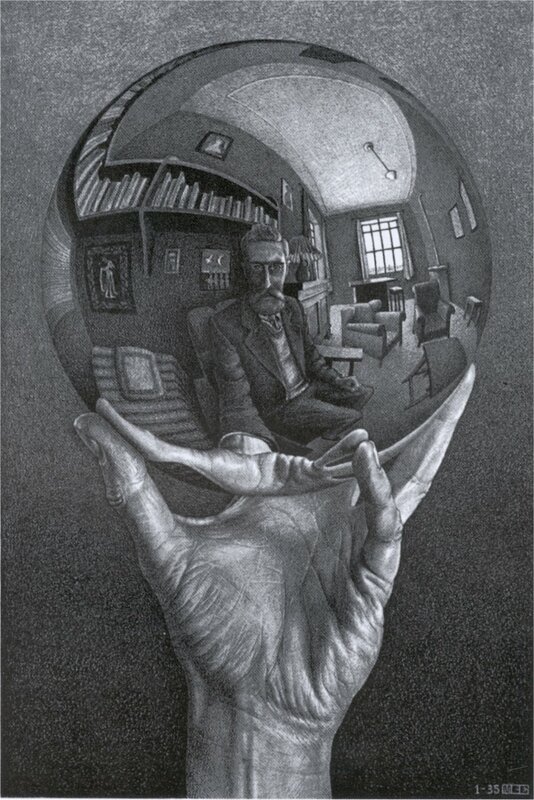 Most recently, Christopher Nolan referenced Escher’s work in his film, Inception (2010). Despite this, how many of you know the man behind these unique works of art? I encourage you to Google him – I’m sure you’ll be surprised to learn how many obstacles he surpassed while pursing the life an artist. Like other artists, much of his work is influenced and inspired directly from his travels and personal life. Unlike others, however, his perception of landscape and personalities is exclusively unique. You’ll really never see anything like him. As always, my hope with these articles is to inspire you to seek out more information on the selected artist. In this case, I urge you to thumb through books that highlight his work. I’d be surprised if you weren’t absolutely astonished by his breadth of work. For more information on M.C. Escher, visit the official website: www.mcescher.com as well as books at your local library and book shops. 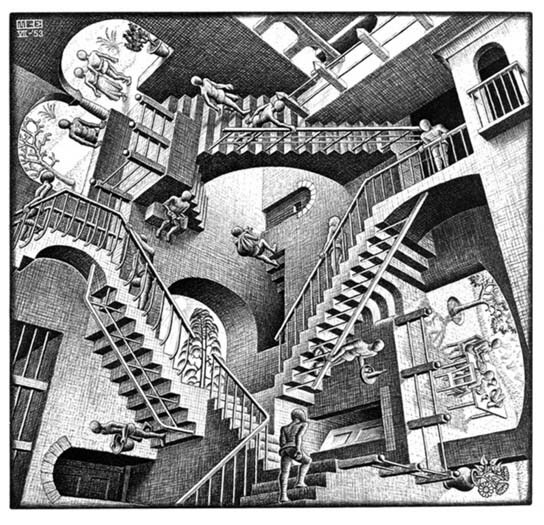 TRIVIA: Escher didn't have mathematical training and apparently taught himself.